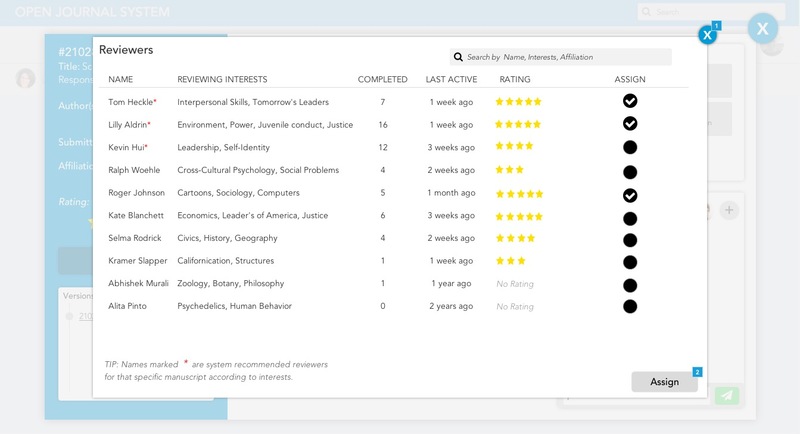 A redesign of the Public Knowledge Project's Open Journal Systems with a focus on improving communication and coordination as well enhancing the visibility of task status and action items to ease and streamline the work done by academic journal editors at all phases of the issue creation process. 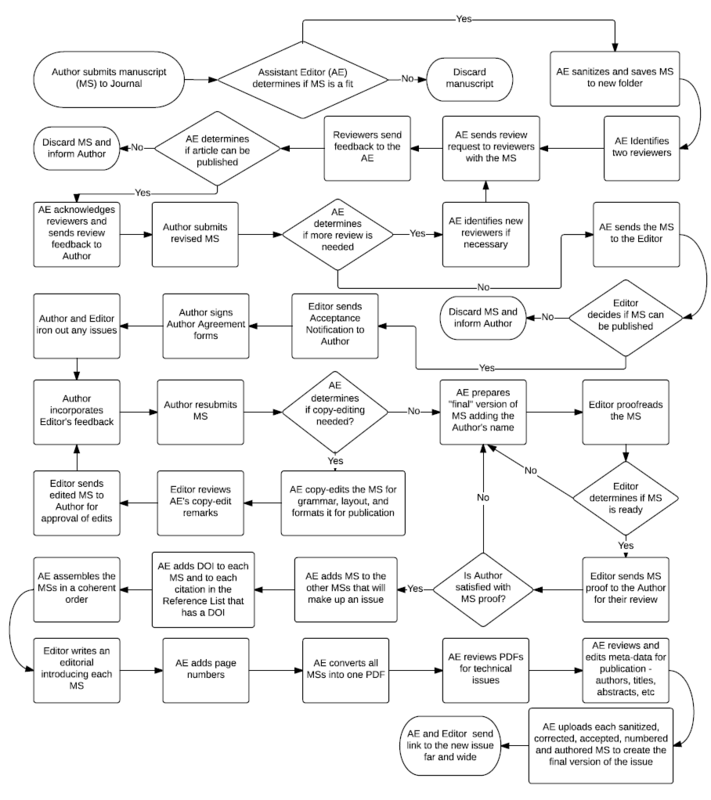 From receiving a rough manuscript from an author to coordinating the peer review process, copy-editing, and compiling suitable articles to publish in an issue, OJS empowers editors to get the work done right. 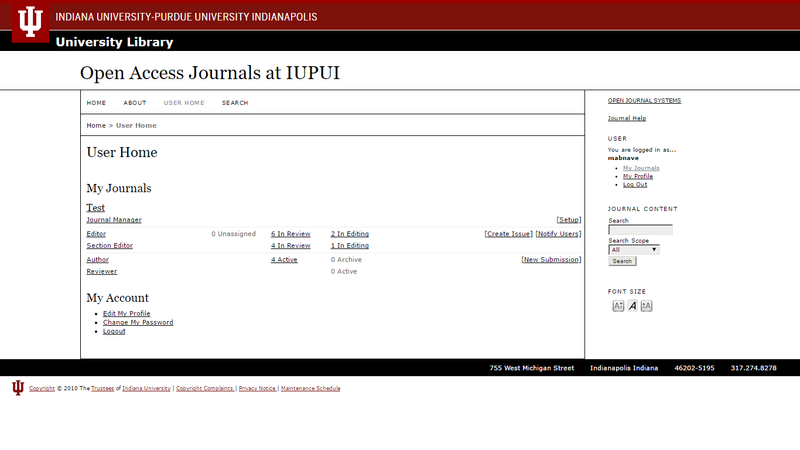 Exploring the existing OJS system with my teammates revealed its scale, functionality, and limitations. 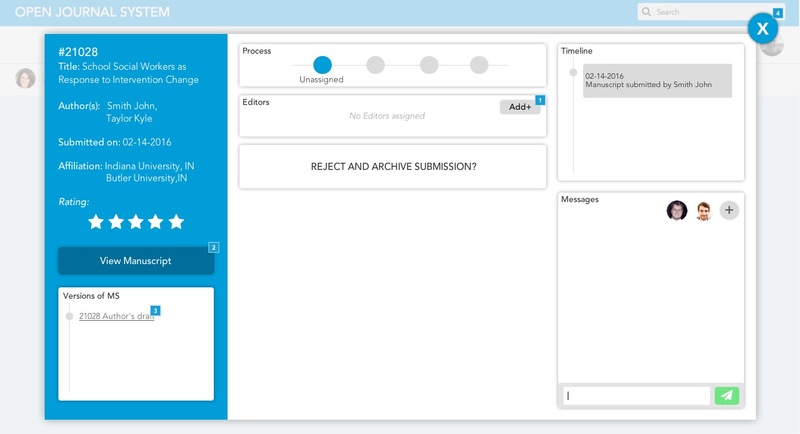 It supports hundreds of authors, editors, journal managers, etc in publishing and accessing academic journals, but its messaging system is clunky, managing file versioning is difficult, and it looks forbidding. 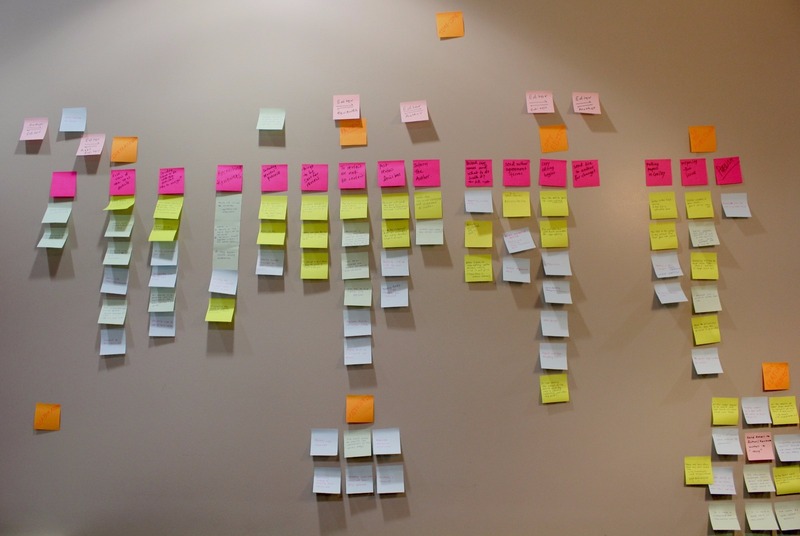 Creating an affinity diagram and flow diagrams illuminated the very process-driven tasks that editors do to publish a journal issue. Brainstorming sessions, sketching, and lots of discussion on the merits and feasibility of the ideas we generated. We decided to design a system based around a central kanban board with lists that represented the phases of the review process. We created a paper prototype which we used to conduct think-alouds with some journal editors to find out how well it supported their work process and get feedback for possible improvements. 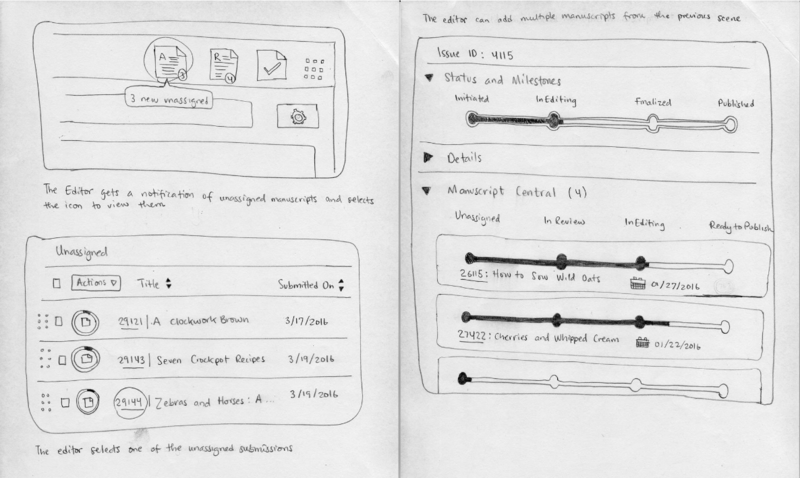 We built a high fidelity prototype with Axure to embody our design solution and conducted think-alouds with editors to discover how we might improve the idea. 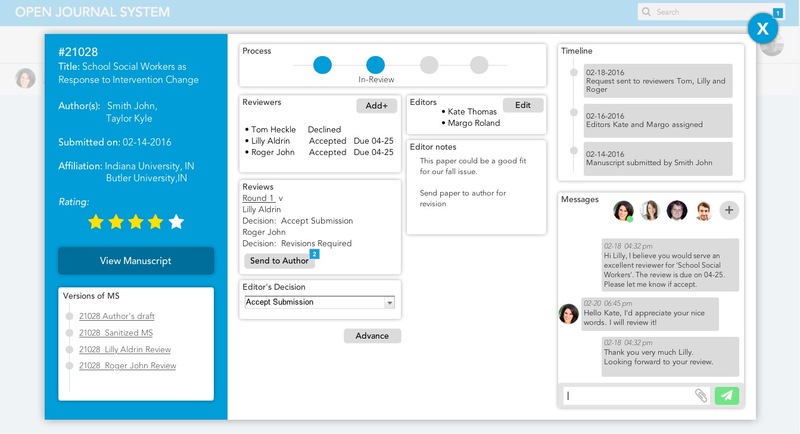 A Kanban-style board that shows the overall status of the upcoming issue. 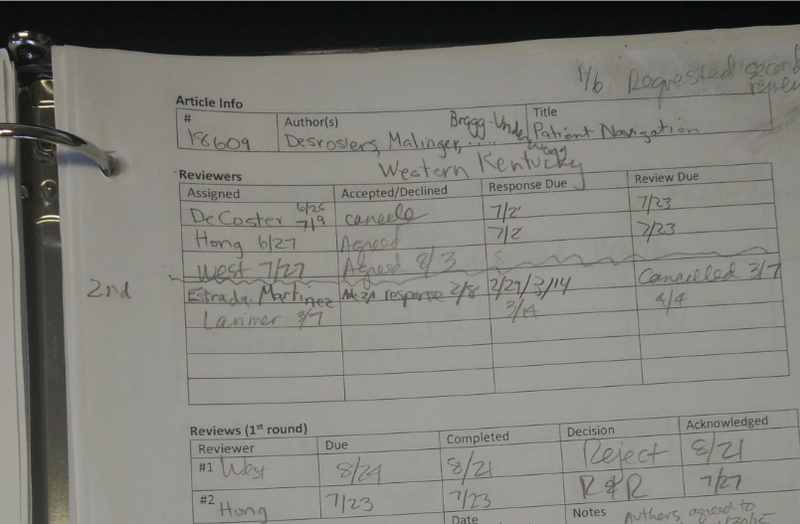 Editors can see the people whom they are collaborating with (in the top left) as well as how many people they are having conversations with on a specific manuscript (the numbered callouts). 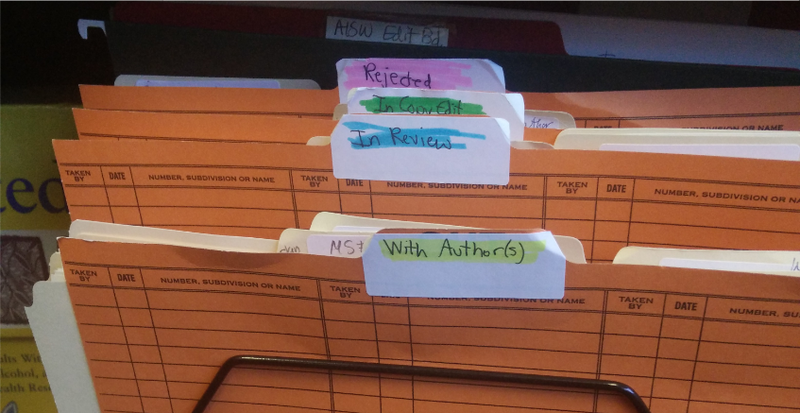 An unassigned manuscript is fresh from the author and needs to have an editor assigned to it. 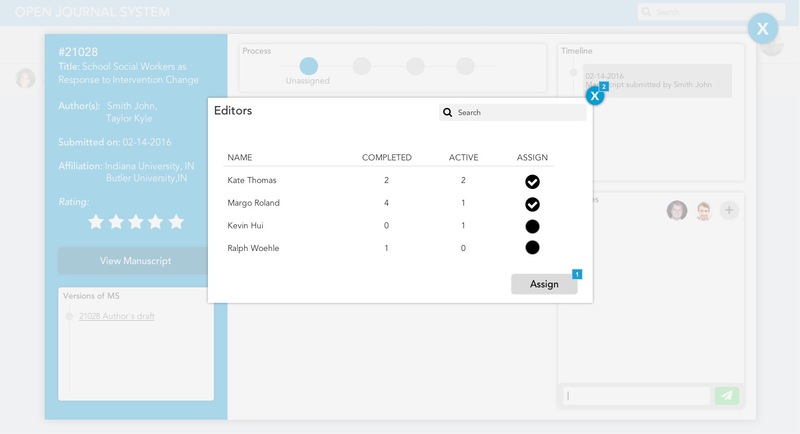 Key interface elements such as the timeline (that shows every event and change made to the manuscript), the versions pane (that keeps tracks of each user's version), and messages pane (where editors can communicate with each other, reviewers, etc) are shown. 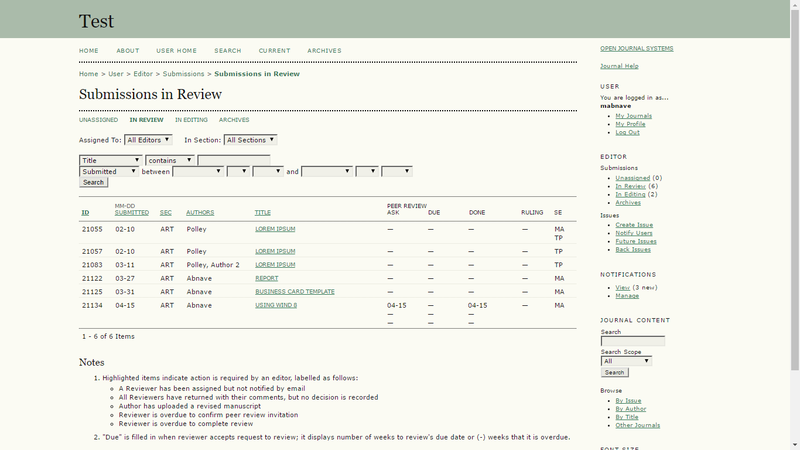 With the existing site, finding reviewers was a bit of a dark art, which our editors had mastered, but they were happy to see a simpler way. No more need for Microsoft Word. 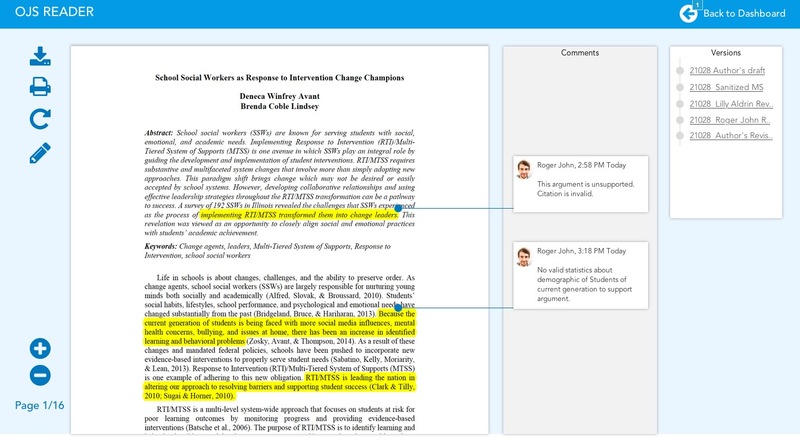 View, edit, and annotate the manuscript right in the browser.